Her latest aural confection from the upcoming The Heart Speaks In Whispers is equivalent to laying your head down on soft spring hearty grass without fear of ants and allergies, the sun coercing to stay a little longer in its warming glow as time slips into the uninhibited future. Alive and anew the track feels, as it blossoms with potent, reposing sensuality, and its by far one of Corinne's best single options. If it all feels familiar, you're right on two counts. "Green Aphrodisiac" firstly hints at the Marvin Gaye-inspired love groove that was 2011's "Closer", just that this time its at a slower cadence and embellished with twinkling Rhodes and Corinne's coaxing coo. 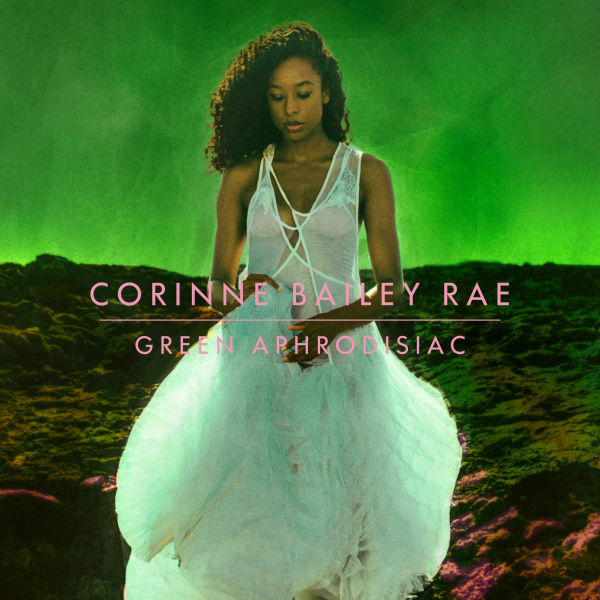 As for that second count, "Green Aphrodisiac" basks in KING's comforting dream-soul glow, as members Amber and Paris Strother fuse Corinne into their aural flora and fauna once more, and with even lusher results after succeeding wholly on their last collaboration, the exquisite "Been To The Moon". Never did I think they would top that particular piece, but "Green Aphrodisiac" has enchanted me to think otherwise.